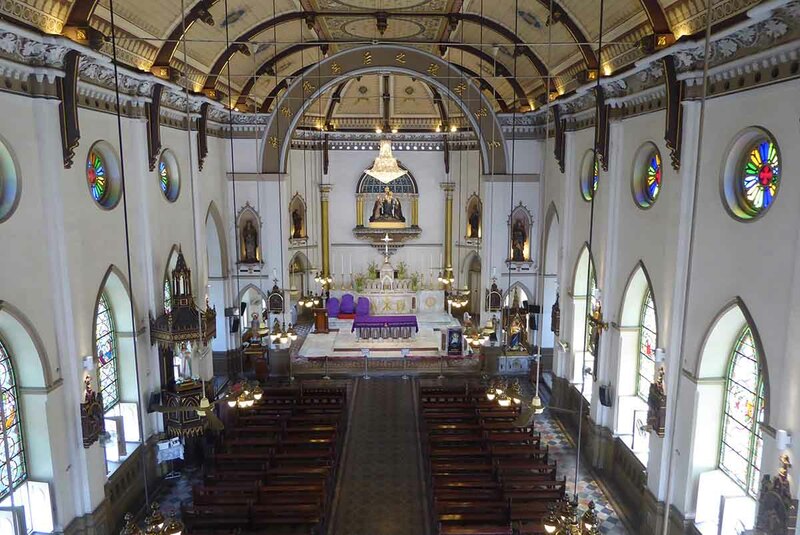 Kalawar or Holy Rosary Church was originally built in 1786 by the Portuguese. The land for the building was donated by King Rama I. 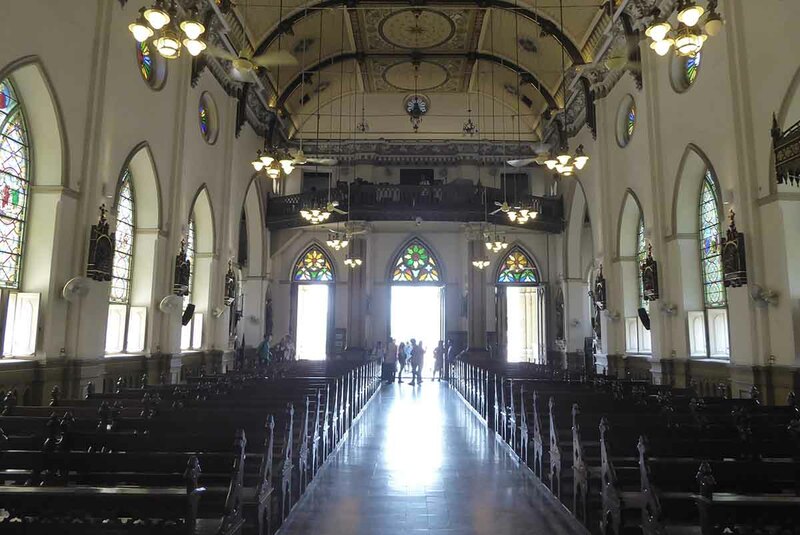 It later burned down and was rebuilt in 1891 during the reign of King Rama V in a neo-gothic architectural style. 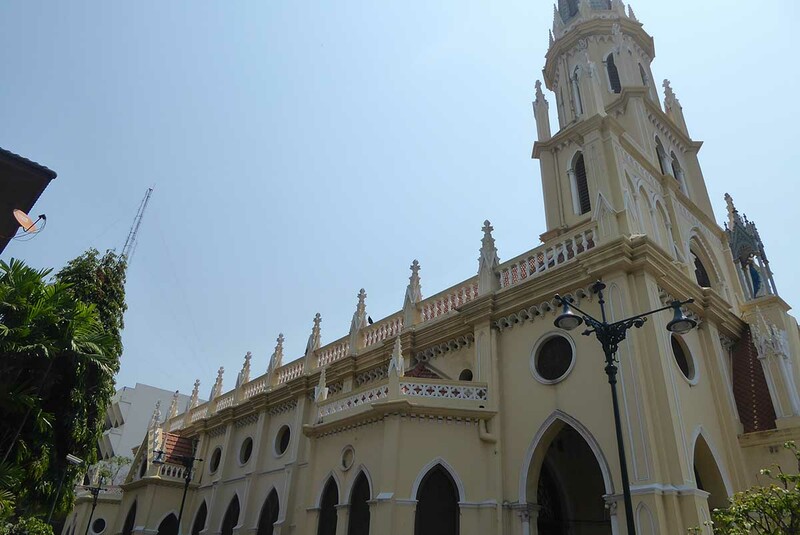 Inside the church is painted in cream, yellow and white with a statue of the Virgin Mary above the arches framing the main entrance and its tall arched doors. 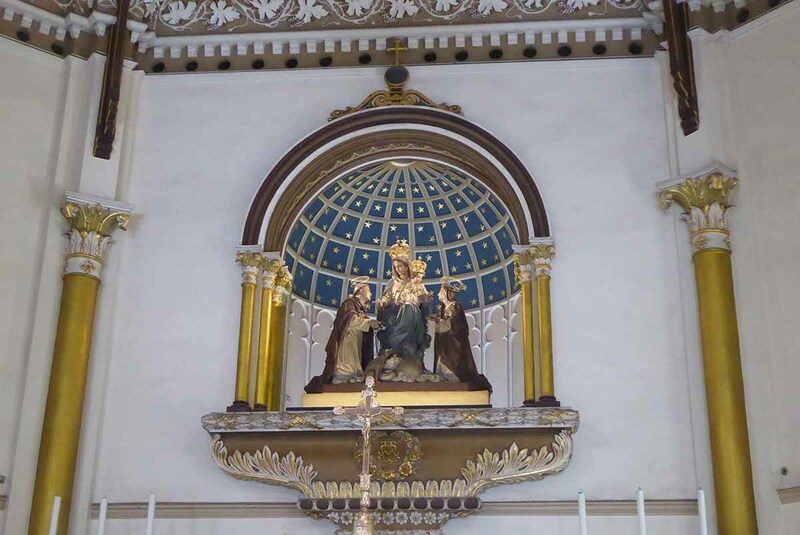 At the front of the hall are images of five female saints & the mother of the holy rosary carrying a child sits above the altar. 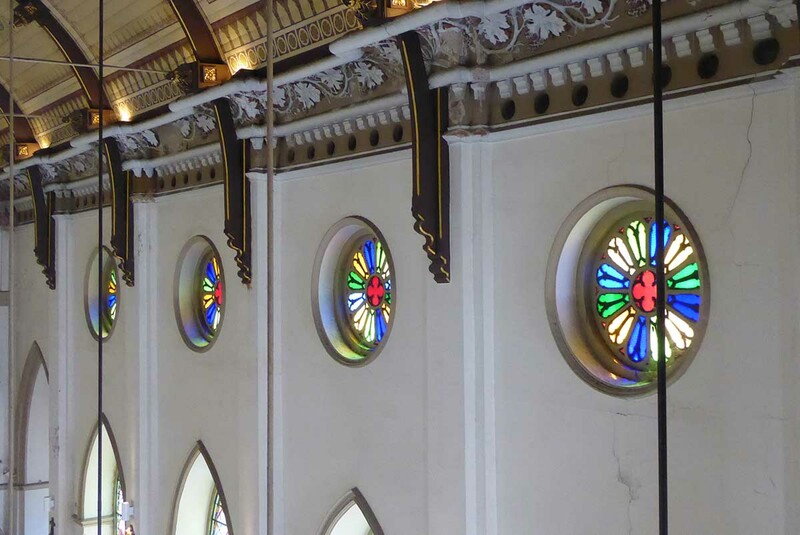 The stained-glass windows depict stories from the old and new testaments with images from the life of Jesus. In between the windows are 14 paintings depicting the crucifixion of Jesus. Holy Mass is held Monday – Saturday at 19.30. The service is in Thai. On Sunday mass in Thai is held at 08.00 & 19.30. There is a mass in Chinese at 10.00. Location: 1318 Charoen Krung Road, Soi Wanit 2, Yotha Road.